Thought you might enjoy taking a look at my new 2018 Gibson ES-330. This model is a limited run satin walnut finish with burstbucker 1 and 2 pickups. Has a very 50s Chuck Berry vibe to the sound. congrats,, that is one very unique looking ES..
Nice! Congrats! Maybe I just missed it, but that's the first guitar with "Witch Hat" knobs I've seen lately...……………. Far OUT! And welcome to the boards! Longtime Gibson owner, but first time ES owner. Auditioned against a 335, preferred the feel and response of this. Maybe I just missed it, but that's the first guitar with "Witch Hat" knobs I've seen lately...……………. Interesting. You made me look. At a glance the witch hats look a lot like the top hats of similar color in inserts, so it is easy to miss them. I have them on my 2015 Flying V and do like them. But neither do I recall seeing them on newer Gibsons until now. Nice looking 330 all in all! Soo... put the first fresh set of strings on tonight and spotted something I completely missed until now. Is this "unfinished" looking area on the end of the neck normal? Congrats on your nice catch. I think I would like most of your ES-330 - unique top, finish in general, humbuckers, all of the hardware, and witch hat knobs, too. However, the missing finish on the neck's overlap near the neck humbucker would bother me. I think if I'd like playability and tone as you do, I would have it fixed. 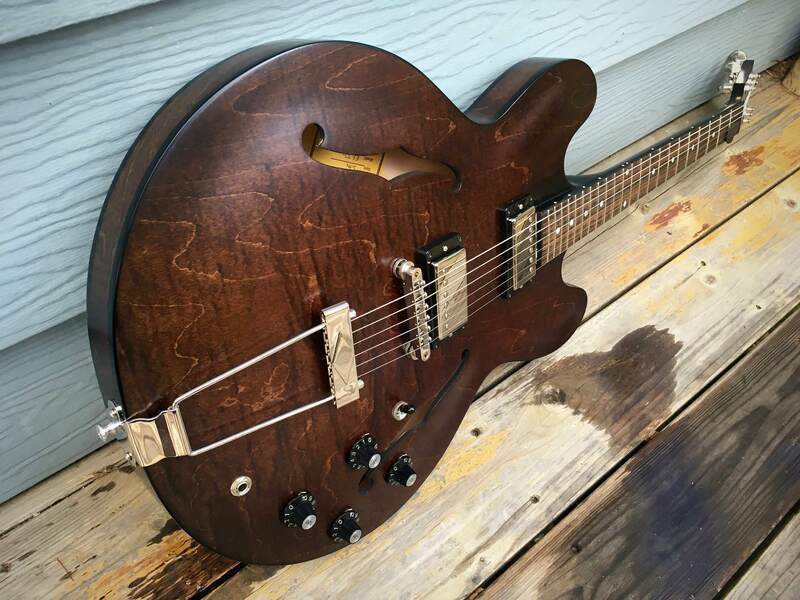 A skilled luthier can do this at a reasonable fee, and it may take about two weeks until the finish is dried out sufficiently. You may have it done by Gibson, too, and I think they would fix it without charge, but it may take some months until you will have your guitar back again. Congrats & Welcome. Beautiful finish! You don't HB's in 330's very often.... Enjoy! CONGRATULATIONS !! On your new Guitar ! NO, I do not think that it is normal.I have and ES-335 with the Cream coloured binding and in the spot where yours has the exposed wood, mine has the Cream Coloured Binding. So, with that factoid in hand, I'd say there should probably be a piece of Black Binding over where the exposed wood is on your 330. I'd call Gibson & have them send me a Pre paid Fed Ex label & an RA number & send It to them to fix. It's under Lifetime Warranty.. In 2012, I sent a Les Paul double-cut back to Gibson under warranty, but had to pay for shipping. They covered the return shipping on what turned out to be a replacement. I honestly love that beautiful finish. 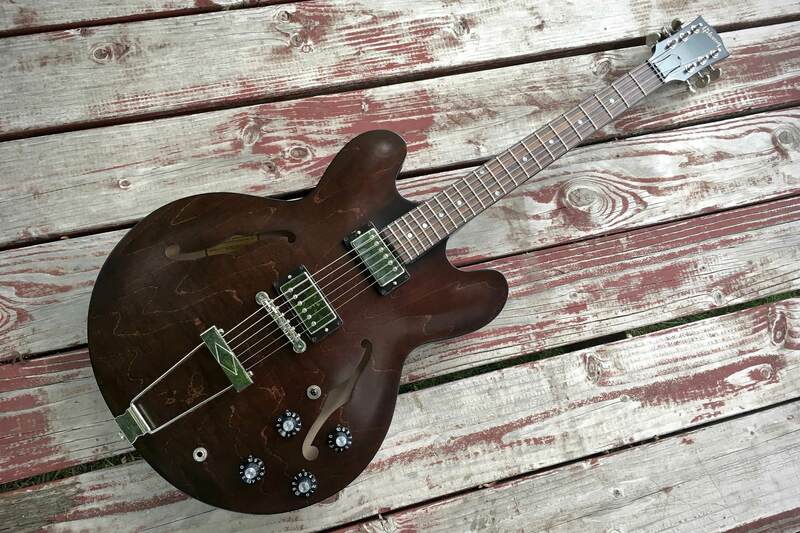 As for the 'rough' looking area, I normally dont worry about detail, but I would question this with Gibson via the dealer I think. 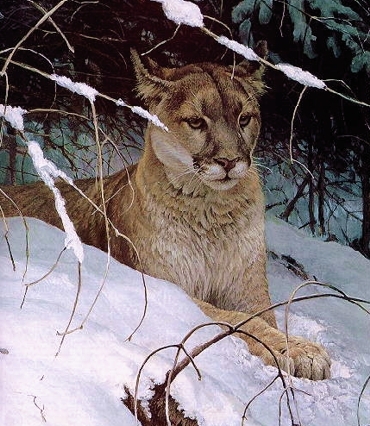 If offered an exchange: If you are happy with the sound & handling you're better off keeping it though. From your picture, the fretboard end has the normal black binding. 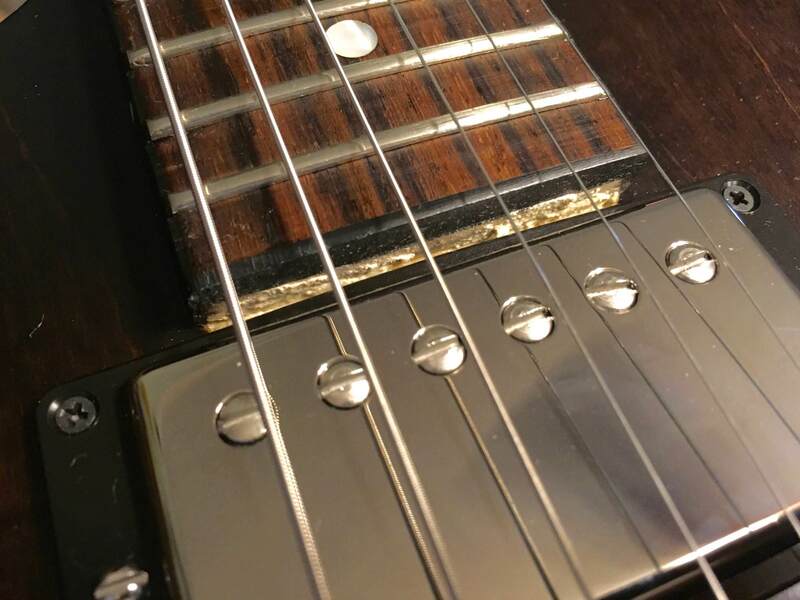 However, it looks like the routing for the neck pickup extends right up the fretboard end (not the usual) or the pickup ring was not installed flushed against the fretboard end (usually). On my LPs and a 356 the pick-up ring butts right up against the edge of the binding that is at the bottom of the neck/fretboard. Sort of looks like your pickup was installed too far away from the fingerboard and thus left that little gap. I am not real familiar with 330s though, they may all be like that? Can't tell from the pic to be sure, but it looks to me like that is a result of a misguided router after binding was already on the neck. You can see the binding, it looks like it was cut into. Should be completely bound there.